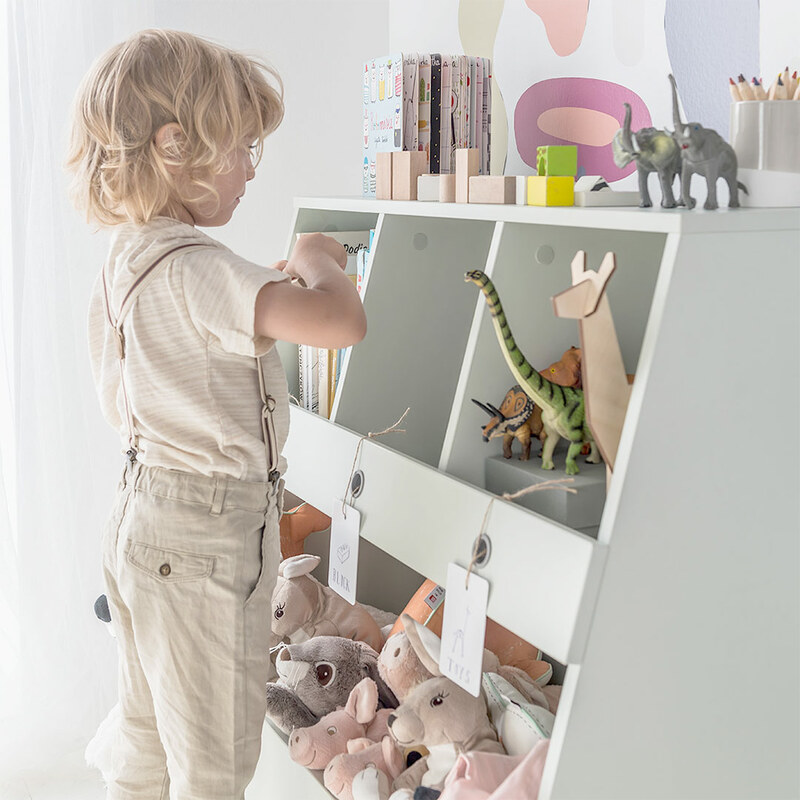 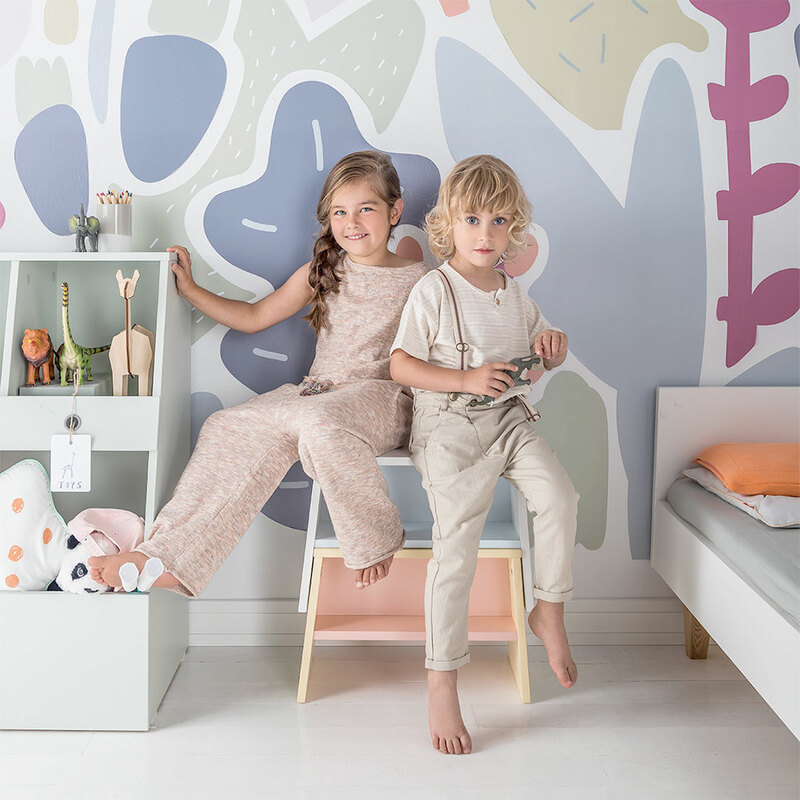 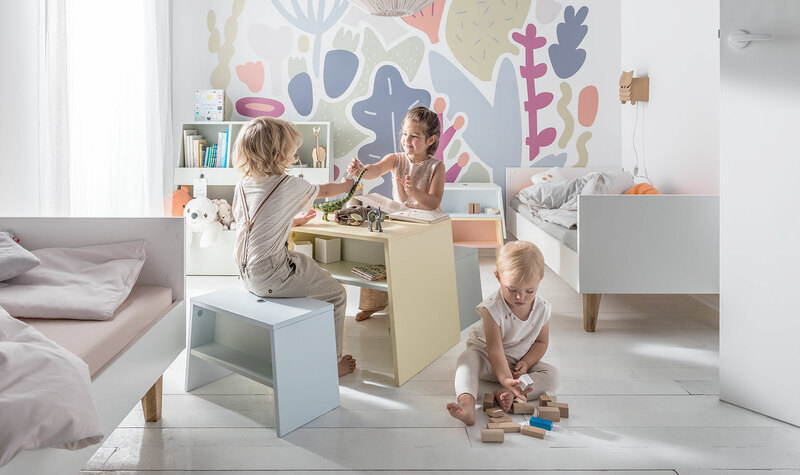 The Tuli Toddler Table – Yellow & Mint by Vox is absolutely perfect for a playroom with its durable materials and kid-friendly design. 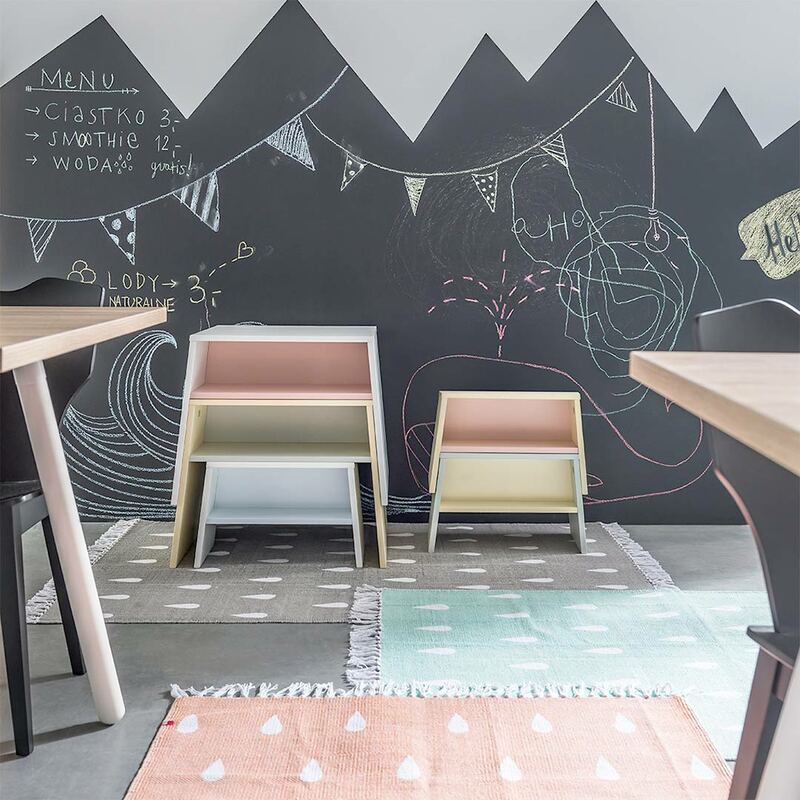 The table has slanted legs with a generous storage cubby underneath the table top, divided in half to accommodate kids on both sides of the table. 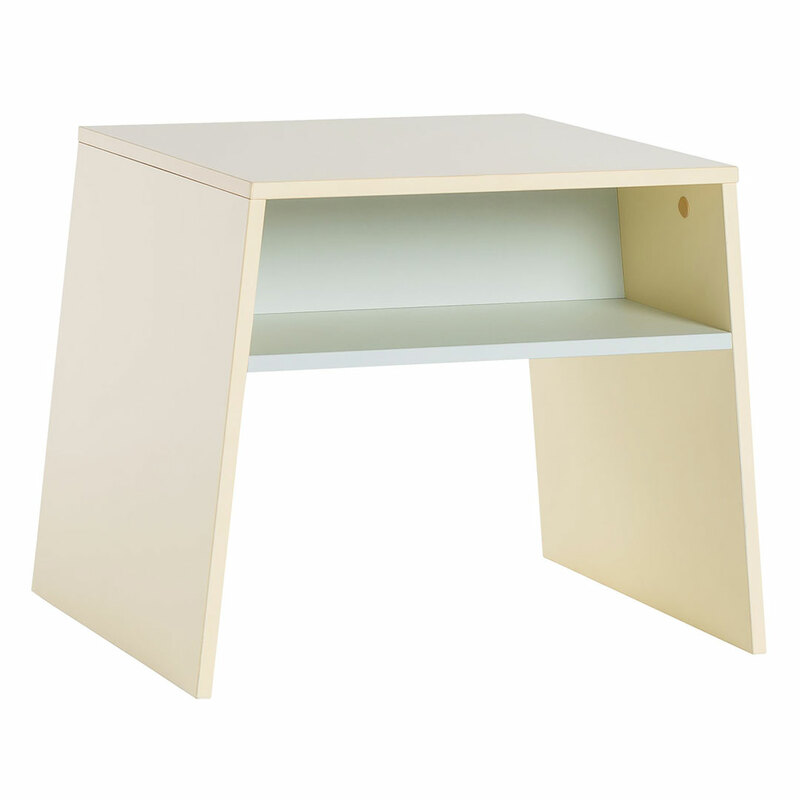 The frame is a light yellow colour and the shelf insides a complementary mint green.